Diron Parts wholesale new aftermarket replace engine parts gasket and kit, which used for heavy equipment of cat, cummins, komatsu machines.the gasket is made of metal or non-metallic plate. It is made by cutting, stamping or cutting process. used for sealing connections between cylinder head and block, pipes, sealing between mechanical parts of machinery and equipment. 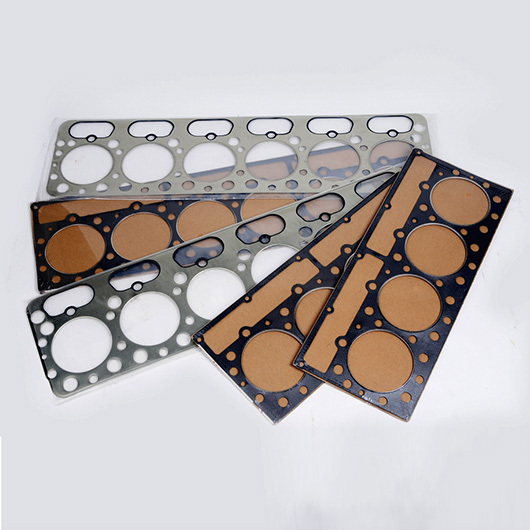 According to the material, it can be divided into metal gasket and non-metallic gasket. Metal gasket has copper gasket, stainless steel gasket, iron gasket, aluminum gasket and so on. Non-metallic gasket has asbestos gaskets, non-asbestos gaskets, paper gaskets, rubber gaskets and so on. Sealing gasket is a mechanical, equipment, pipes and other internal, from the sealing effect of the material.